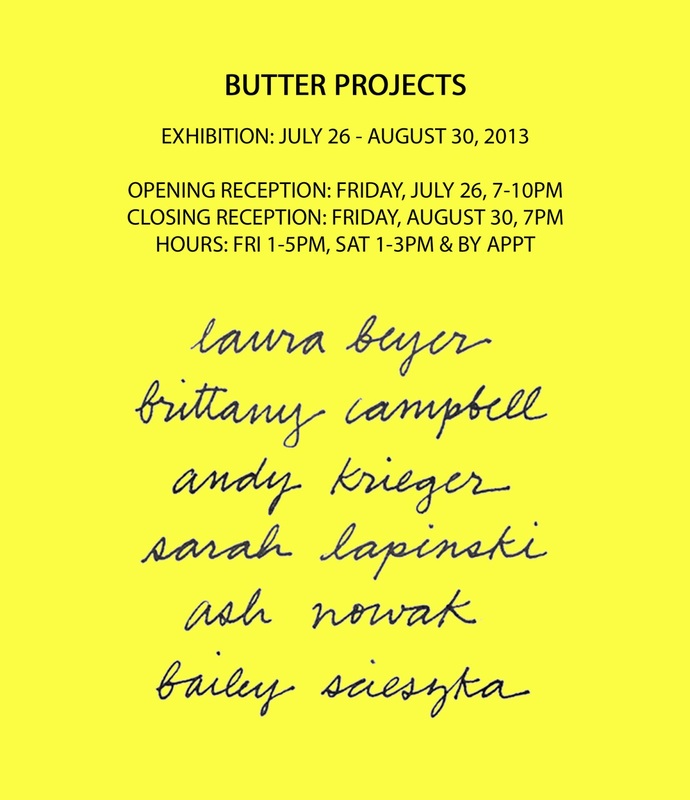 Butter Projects provided six artists with the items listed in the exhibition title. 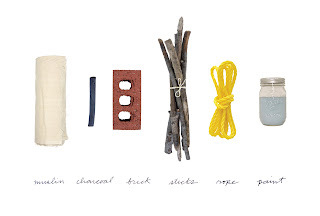 Given these materials and some loose parameters, they were invited to create a work of art in the gallery. Working with set restrictions and possibly unfamiliar media, presents an interesting challenge with an endless range of outcomes. Join us for the opening reception and see what they came up with! On display through August 30, 2013 with a closing reception at 7pm. 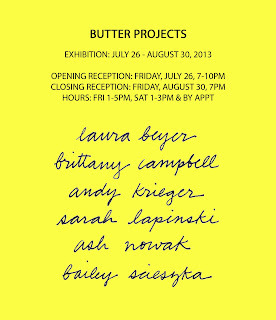 During the run of the exhibition, Butter will be open Fridays from 1-5pm and Saturdays from 1-3pm. Additional hours by appointment. Võng tự ru hay vong dien tu dong hay võng đưa tự động giúp bé ngủ ngon mà may dua vong tu dong không tốn sức ru võng. Võng tự động hay máy đưa võng em bé chắc chắn, gọn gàng, dễ tháo xếp, dễ di chuyển và máy đưa võng dễ dàng bảo quản.